Students can choose from 33 majors and 34 minors. The average class size is 16; the average lab size is 16. 70% of classes have 19 or fewer students. All students do a comprehensive senior-year project usually involving original research or creative expression. Pre-professional programs and advising are available in medicine, law, engineering, business, and education. 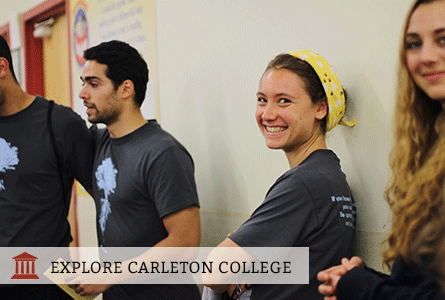 Close to 75% of students will study off-campus at least once during their four years at Carleton.